For bond investors, the loss of purchasing power due to inflation is a major fear. For example, if you earn the same amount of interest income each year, but the cost of food, shelter, and transportation continues to climb, your standard of living will shrink with each passing day until you someday find yourself unable to afford the things you need, much less want. That's why the Series I bonds were introduced as the newest member of the United States savings bonds family. Each Series I bond pays interest based on two components; a fixed rate of return plus a semi-annual variable rate that changes with fluctuations in inflation as measured by the consumer price index, or CPI. That may sound complicated, but in a few moments, you'll see how really simple the I bond is and how you can take advantage of it as a new bond investor. Not everyone is eligible to own I bonds, though. When you purchase a Series I bond, you pay the full face value of the bond itself. In other words, if you acquire a $5,000 face value I bond, you will pay $5,000. Likewise, if you invest in a $10,000 face value I bond, you will have to pay $10,000 in cash at the time you acquire it. This is true regardless of if you purchase physical paper I bonds or electronically registered I bonds through the United States Treasury Department website, TreasuryDirect. 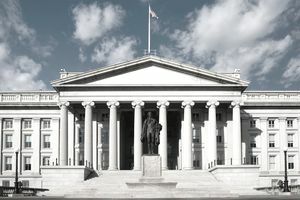 According to the United States Treasury, I bonds increase in value on the first day of each month, and interest is compounded semiannually based upon the issue date of the specific I Bond. The I bond issue date is the month and year in which the financial institution through which you purchased your I Bond receives the full issue price of the bond. This is important because it means that your I bond is really a type of zero coupon bond. Unlike a traditional corporate bond or municipal bond, you won't receive checks in the mail for the interest you earned. Instead, the value of your I bond will actually increase regularly with your interest being added back to the principal value. Only when you cash the bond in (known as "redeeming" the bond), will you get your money back plus all of the interest you've made over the years. Remarkably, I bonds are one of the only investments in the world that the United States Government guarantees. If inflation picks up, you will earn more interest through the inflation adjustment. If the economy enters deflation, the I bonds have a guarantee that they will never go below 0.00% interest per year, meaning your purchasing power would continue to increase even if you weren't earning any interest on your money. Series I savings bonds are not intended to be traded, but rather held as long-term investments. You cannot cash them in for at least 12 months after buying each I bond, and if you redeem the bonds before the 5 year anniversary of the purchase date, you will pay a penalty of three months' interest. I bonds are exempt from state taxes and local taxes. They are, however, subject to federal taxes but you as an investor have the option to pay taxes on a cash basis or an accrual basis. Under the cash method, you wouldn't pay taxes until you redeem your bond because even though you had earned the interest income, you hadn't actually seen any of that money. Under the accrual method, you would pay taxes each year on the income you earned that was added back to the value of your I bond. Many investors prefer the cash method of taxation so they don't have to pay taxes out of their own pocket each year, instead of using the bond proceeds when they sell the bond to cover any obligations to the government. I bonds, like all savings bonds, are known as "registered" securities. This means that even if you lose your I bond certificate (assuming you bought paper certificates instead of using the TreasuryDirect electronic bond investing program), there is no need to panic. Simply contact the Treasury Department, fill out the paperwork they request, and before long, you will be issued a replacement I bond. This also means you need to be careful: You can never purchase an I bond from another investor. I bonds are only sold through the distribution channels we describe in How to Buy I Bonds. If you purchase I bonds from another investor, they still legally own the right to those bonds and you've now lost your money! A lot of professional investors, private investors, and wealthy business owners prefer to own TIPs, or Treasury Inflation Protected Securities, instead of I bonds because they have much higher annual purchase limits (in the millions upon millions of dollars) each year. Frankly, I bonds aren't appropriate for most wealthy individuals or those who are managing a large amount of money because the purchase limits are too low to be of any use.